Relations between the Calgary-based pipeline giant and Coastal First Nations leaders were not exactly warm. The specter of an oil spill by one of the hundreds of oil sands-laden supertankers Enbridge proposed sending past native villages each year posed a dangerous threat, in the view of the aboriginal leaders, to the natural landscape their peoples had called home for hundreds of years. Add to that Enbridge’s largely failed effort to entice B.C. First Nations support, a process fraught with errors and missteps. That panel was set up by the federal government to lead public hearings on Northern Gateway, the 1,172 kilometre steel pipeline from Alberta’s oil sands to coastal Kitimat. Daniel said he’d look into it, according to a notice of motion filed by Sterritt with the Joint Review Panel. A company spokesperson has refused to confirm whether any of these exchanges took place. What’s clear though, is that Enbridge, and with it, Prime Minister Stephen Harper’s Conservative government, face something much bigger than a simple public relations failure. Revealed in the standoff with First Nations are legal fault lines potentially stretching all the way to Canada’s Supreme Court. Even non-native analysts predict Northern Gateway is likely to become a test case for what level of consultation with First Nations is required by previous Supreme Court decisions. Arriving at that answer — whatever it turns out to be — may take so long that the sheer passage of time cripples the effort to finance and construct the proposed link between Alberta’s oil sands and Kitimat’s port on the northwest coast of B.C. Through the sixth floor window of Allan Donovan’s Gastown office, there’s a panoramic view of Burrard Inlet’s bright orange dock cranes and lone tanker ships sailing past. Across the water, North Shore apartment towers are humbled by the snow-covered mountains high above. “The whole vista out this window was built on a foundation of mud,” Donovan explains, gesturing with an outstretched right hand. Donovan is an attorney specializing in aboriginal law. For over 20 years, he’s helped defend Haisla Nation land rights against the encroachments of big business and government. Few native groups, in his opinion, exemplify the legal and environmental tensions of Northern Gateway better. The Haisla community of Kitimaat Village lies right near the mouth of Kitimat River, terminus point for Enbridge’s proposed pipeline, and alongside Douglas Channel, where supertankers would begin their journeys to Asia and elsewhere. Enbridge wants to build a tank farm and terminal site nearby, in forest Haisla peoples have used for thousands of years, and land they never ceded to the provincial or federal government. A true “foundation of mud” as Donovan sees it. Until only a few decades ago, neither government (known in legal terms as the “Crown”) was under much obligation to take the Haisla’s, or any other First Nation’s, unsettled land claims seriously. Governments at first tended to take a narrow view of this clause, arguing it referred only to fishing, hunting and other traditional activities — not to any legitimate land claims. Then, in 1997, the Supreme Court of Canada’s landmark Delgamuukw decision blew that interpretation to pieces. First Nations in B.C. had never surrendered title to their traditional territories, it affirmed. And so the Crown now must consult meaningfully with native communities any time development stood to impact those lands. The Supreme Court of Canada went further still in 2004 with its Haida and Taku River Tlingit decisions. These two landmarks enshrined the government’s duty to consult and accommodate, even when dealing with First Nations who hadn’t yet proven land ownership through treaties or in the courts. Neither decision gave those First Nations a final veto over development projects. But the Crown now had to prove it had listened carefully to native concerns, and where possible incorporated them into its planning, before shovels hit the ground. Which is all very encouraging, Donovan said, leaning back in his chair. Except that for Northern Gateway, the federal government seems to have forgotten any of this case law exists. The Haisla Nation claims it has been making serious and repeated efforts to engage the federal government and Enbridge since 2005. Haisla leaders had participated in B.C.’s Treaty Negotiations Process for the past 11 years. They believed they had strong evidence to prove the land Enbridge wanted for its tanker farm, terminal site and a large swathe of pipeline rightfully belonged to their peoples. Not only did that meeting never happen, but in 2006, then-Canadian environment minister Rona Ambrose made an important announcement about Northern Gateway that showed scant signs of native input. The project, Ambrose said that September, would be assessed by a federally-appointed Joint Review Panel. This was strongly opposed by B.C.’s Carrier-Sekani Tribal Council, who argued the panel had no legal authority to settle unresolved native land claims, particularly on territory crossed by the pipeline. That group and others had been pushing for a separate review process, one explicitly set up to address aboriginal right and title. And so in October, the Carrier-Sekani leadership followed through on legal threats it had been making for months, and filed a lawsuit against the federal government. Enbridge effectively ended the matter in November, by announcing it would delay Northern Gateway by up to four years, fast-tracking a new pipeline into the U.S. Midwest instead. Still, none of the legal issues had been resolved. What the federal government had signalled, in aboriginal opinion, by setting up a joint review panel for Northern Gateway without considering any alternatives, was that it didn’t really care about the unique concerns of First Nations. And so if the government was willing to trample over them at this early stage, Carrier-Sekani leaders argued, how could decision-makers later be trusted to protect their people’s constitutional rights? The Supreme Court of Canada had posed a similar question the year before. In his precedent-setting 2005 Mikisew decision, Justice Binnie affirmed two important duties: One, that the Crown must consult with affected First Nations at the earliest stages of development. And two, the results of that effort must be factored into government planning. By 2008, however, with Enbridge once again pushing Northern Gateway and the federal government again supporting a Joint Review Panel process, First Nations wondered what lessons, if any, decision-makers had learned from Mikisew. The Haisla Nation took this opportunity to write once more to the B.C. and federal governments. Posted on January 30, 2012, in Defending Territory, Oil & Gas and tagged Enbridge pipeline, Haisla, Haisla+Enbridge, Kitimat, oil and gas pipelines+Indigenous resistance. Bookmark the permalink. 4 Comments. Why I Am here is to see What I can do – to know Who I Truly Am. I was in a Village in Kittimat to look into the spirit of the people and see if I understood what was wrong, what was causing sickness. I recognized what I saw so many years before, when I stood against a Quebec Hydro Dam project. The dam was flooding a huge area I used to fish, about 1/2 the size of Vancouver island. They did not clear the forest and remove the green before the blue. This is backwards in optics – the green before the blue – and the same is true in nature. The green deteriorated very fast, releasing excessive mercury into the water. The Nation that lived in the area used the lake waters and all its fish food, found in their new BIG lake behind the dam. They were told they would get more fish than they had ever seen – White fish, plus others. They used the fish oil like the Haisla (used to use) the Oolichan, in the Kittimat Inlet. The fish – especially the livers, which they sought for the oil, were contaminate with mercury. That is why there are no more Oolichan, and far fewer Natives along that inlet, where they used this fish traditionally for thousands of generations. Whether the Quebec Government/Hydro and those responsible in the BC Government, Alcan et al (back in the day) are found to be complicit is this matter, is something for others to contend with. This is especially true for those who knew it would happen in advance. They will be called to reconcile when the day arrives and it is coming soon. Mercury poisoning is insidiously destructive, fatal and slow. It causes birth defects that I do not wish to remember, and blindness and crippling in the elderly. The middle generation becomes weary, tired and vacant of spirit. The entire population is dying. In the Medicine path when you see this type of illness on that large a scale, it causes a ripple in the calm of the Creator’s consciousness – of us living. A stigma in the “I” of Creation. This allows one to see across time, to when this has happened before; because it is recorded in the consciousness of all of us. I could see myself – all those years before in Quebec and the hundreds sick with this same disease I was seeing in the Kittimat valley. That is when I turned and saw a different kind of ripple coming across consciousness. It was my own, from before. Here is something that until now has not been public – 137 years ago a blood relative of mine landed on these shores. He befriended the Chiefs and warned them of what was to come. I am a descendant of that man – and now here I am. I saw that ripple through my own blood line and in my own understanding: a Reason and Purpose for being here NOW. I set about to make a very detailed plan that would take years to put into place and needed contact nodes around the world to make it happen. The “Occupy” consciousness movement comes on the scene and this suddenly becomes a lot clearer. Indigenous Elders from around the world shared their teachings and stories with me throughout the years of my wandering. They told me in their own way that is how our consciousness used to work, before we fell asleep after that terrible flood and rising oceans – 12,500 years ago. Every since that day we have being trying to remember – who we are. HUMANITY is an individual species – not a species of individuals. This beautiful planet is where we were supposed to come and have a vacation from the collective – to see creation from a first person perspective. Unfortunately there was a huge glitch – and although we saw it coming we could do nothing about it. You know something like a huge comet, one you cannot do a damned thing about it. Unfortunately within the generations we forgot who we were – SOME OF US DID NOT! – The Indigenous PEOPLES of the planet. The rest is all there in your own memory and suffice to say – we are awakening and that terrifies the the people that want us to stay asleep and not wake up until you die. This short story is to let you see why I am pushing this issue very hard. I know it leads to an even bigger Achilles heal of the corporations, governments, and the bankers that own them both. That blind spot that they do not want us to see is UNITY – and SOLIDARITY to the Indigenous populations of this country and around the world. As usual our Native Friends are taking it hard on the nose for the themselves and the rest of us in this fight. They are in the true FRONT LINES and this week you have witnessed the corporate machine and how fast it responds. Except they made mistakes – blatant ones and so did we all. The Blind Spot is thinking one can Hide Behind a Closed Mind. We were not ready as networks have only been set up by a few, plus we are not yet using our collective potential as intelligent, communicating people. We all want CHANGE. I know that is true, but this individuality problem and fear of trust and infighting is intentionally set upon us to keep us from finding common ground. PSSSSST – do you see it – the First Nations gave us a raw example – and even had a National Summit to announce it at the same time. The issue is amazing if you see it from the Moon. We are seeking UNITY and claiming individuality for whatever pain exists in our own lives in this first collective opportunity to BE HEARD. When you have billions of people starting to stand up, it’s hard to find your own voice in a time you thought you would get to yell out and be heard. Do as an elder told me – go stand on a stump in the forest. Get a huge piece of moss and put it on your head like a hat. Now tell the world what you want – and come back to the circle. Oh and by the way that echo you thought you heard out there in the forest of your memory – was another person doing the same thing. PLEASE BE READY – A Call is coming from the forest – and it is our Native Friends standing on the Front Lines here in the hinterland – while others are standing in Wall street. Can you see the ripple between them – watch what happens when you cause a ripple by making everyone aware – that we are all connected. Over in the corner a quiet watch maker is making an alarm clock that we all activate at the same moment. The tighter the Corporations, the corrupted Governments and the Bankers that own them, wind the clock – the closer we come to turning off the snooze button – TOGETHER ONCE AND FOREVER – we will Remember who we are – together on this Blue ball in space. Then I can go Home and take a vacation from my vacation. My name is Linda Meyer. I support Aboriginal First Nations 100%. 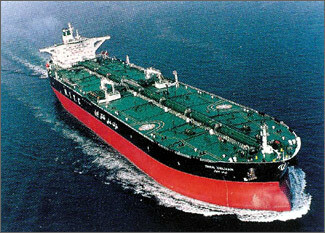 I too am apposed to Enbridge sending very large oil tankers up fish bearing Douglas Channel to Kitimat. I understand (according to Enbridge) that the oil tankers will be double hulled (like the Titantic) and double bottomed and will require the assistance of two tug boats. I believe the fish bearing Douglas Channel and surrounding area is ecologically too sensitive to have huge oil tankers trying to navigate through islands, islets, isles, inlets, etc, which I believe is too risky because Douglas Channel is too small and the oil tankers are too big. Therefore, the oil tankers will be unable to safely navigate through fish bearing Douglas Channel. I am also opposed to Enbridge’s plan because if its plan is implemented (with the help of the federal government0 the federal government will be violating the Royal Proclamation of 1763. The federal government, according to the Royal Proclamation of 1763, is supposed to ensure that “Indians” are not disturbed and not molested. More of often than not the federal government is violating the following laws: Royal Proclamation of 1763, federal government’s fiduciary duty, various sections of the racist Indian Act, preamble to the Constitution Act, 1867, preamble to the Constitution Act, 1867 section 91 (24) of the Constitution Act, 1867, preamble of Constitution Act, 1982, section 35 of the Constitution Act, 1982 and various Supreme Court of Canada decisions, which I can prove. I am in the process of writing an article entitled: Enbridge’s Northern Gateway Project Must be Denied by the Federal Government: To do Otherwise is Unconstitutional and Violate’s Aboriginal People’s rights. I am about 3/4 finished. If you like once I am finished I can mail (not e-mail, as article is too long for e-mail) you the article. If you like I also know how to turn the said article in a constitutional challenge. Hello Linda, my name is Blake and I am in grade 11. My class has been asked to present something to the joint review panel that will be here in April, I was wondering if it is possible that I read what you wrote? I’m trying to get something that would be helpful in the sense of more understanding and guidance on which direction I go towards the panel. It would be great if you could get back to me as soon as possible. I just noticed that my e-mail was printed in the Warrior Publications website. I hope it is not too late for me to help you. If you like I can mail you a copy of my article. Can you please provide me with a mailing address and, perhaps, phone number?.My phone number is: 604-463-9751. However, I will not be home phone until Tuesday April , 10th. I have finished the first draft of my article. But, it needs amending because I have discovered an extremely well-written article, which was written by two Enbridge supporting very intellligent lawyers. In fact, one of the said lawyers has a PhD. I need to response to their article. I have to go because I have company.